Get recycling in your community! Whether you work at an office or you have kids in school or you plan events in your community, make recycling accessible in all communities. We provide the resources and materials to help you start recycling in your sphere of influence. 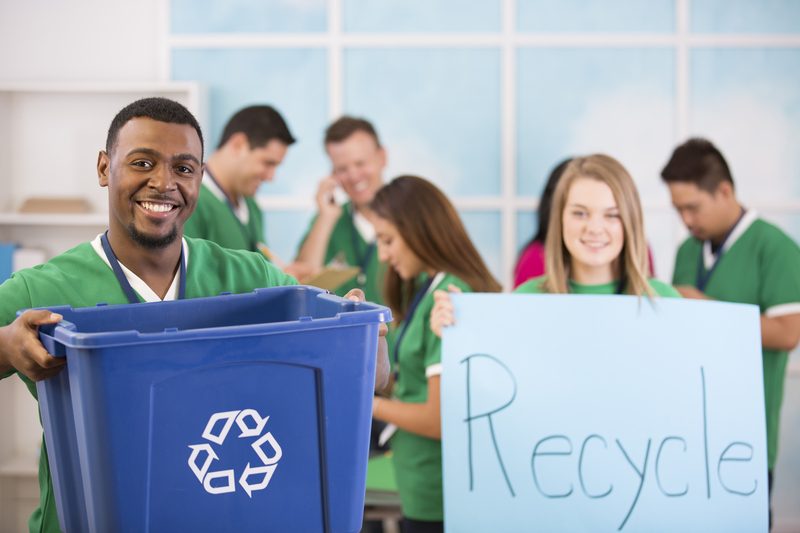 Get the information and resources you need to help your workplace recycle. Let us help you teach our St. Louis youth about recycling. Make recycling a part of your next event.